This patient was brought in and described as having a faulty touch switch. 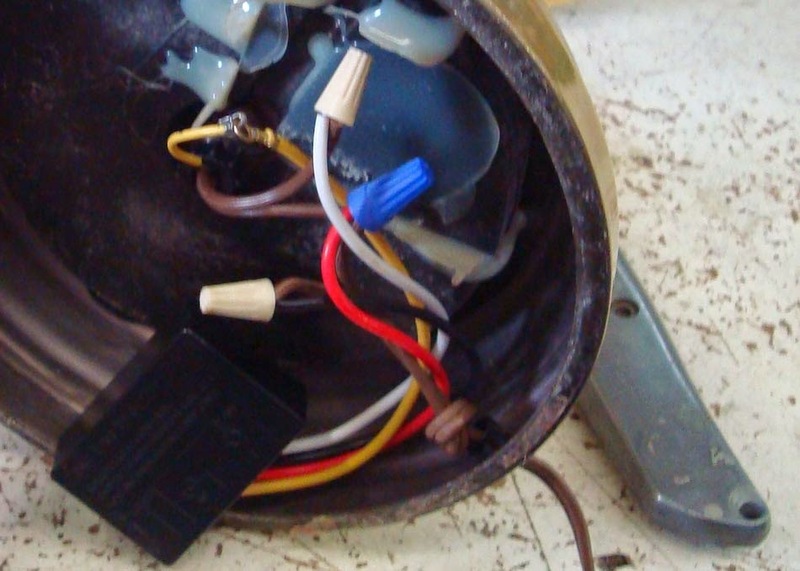 We see a lot of touch lamps in the shop and the switches are known to go out and need to be replaced. This lamp was a little odd to have a switch on the socket as well as the touch switch. The tricky part of having the two switch on one lamp is neither switch has an on/off indication so it can be confusing if you expect the lamp to come on or go off and the other switch has the circuit open (off) or closed (on). First thing we do for this lamp is to see what is going on with the touch switch. I plug the lamp in with a good bulb and the touch feature is working fine. The switch on the socket is working as well. I cannot replicate the customers complaint, but I will want to see if there might be a short somewhere. A short in the touch switch could cause it to never come on. I put the patient on its side and peel off the felt bottom. I want to go slow so I can reuse the felt bottom. Felt is not expensive, but if I can avoid the cost and use of additional materials I will. Once the felt is peeled back I can see the yellow touch wire (connects the touch switch to the lamp body) does not have a great connection and might short out. This is not an electrical hazard since this cord is supposed to be touched to turn the lamp on/off, but a bad connection could cause a failed response. The switch has come loose from its glue on the bottom. That is not bad, but the movement of the switch in the base cavity means a secure connection is more important. To fix this problem I clip the wire connector from the wire and strip the wire about 1/2 inch. I wrap the wire end around a lock washer and use a steel nut to secure it to the threaded lamp rod. This rod runs the length of the lamp and connects all the metal parts to the switch. Perfect so any part of the lamp will activate the touch switch.